In the wake of the Second World War, woodblock prints emerged as a channel of diplomacy and friendship between Japan and the U.S. Japan’s print artists found new patrons among members of the Allied occupation. Exchange programs aimed at rehabilitating the war-torn nation enabled Japanese artists to travel abroad to teach and study, and newly established exhibitions introduced their work to audiences all over the world. Printmaking continues to be a vibrant and ever-changing art form well into the 21st century. This exhibition draws the Ringling Museum of Art’s extensive holdings of postwar Japanese prints and local collections. 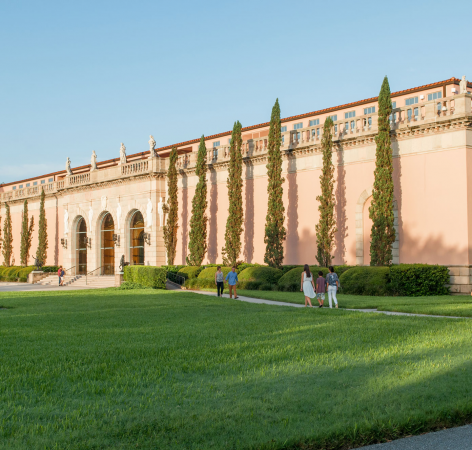 Established in the 1960s, the Ringling’s collection has continued to grow through the generosity of successive generations of discerning and passionate individuals. On display will be works by key artists including Onchi Kōshirō, Hiratsuka Un’ichi, Saitō Kiyoshi, Yoshida Chizuko, and Hoshi Jōshi, including a number of new acquisitions and never-before exhibited pieces. Support for this exhibition has been generously provided, in part, by the Gulf Coast Community Foundation Ringling Museum and the John and Mable Ringling Museum of Art Foundation. Submit to Art Beat — If you are a non-profit arts and cultural organization, you are able to submit your events and performance information for consideration of publication in ARTbeat, our popular weekly e-newsletter. Not every event can be published in ARTbeat due to space limitations. Please note that ARTbeat is events based and cannot include fundraisers and galas. ARTbeat is released on Friday's and entries must be submitted two weeks in advance of the event/performance. High quality images are encouraged and must be in .JPG format. Images cannot be flyers or have writing on them.